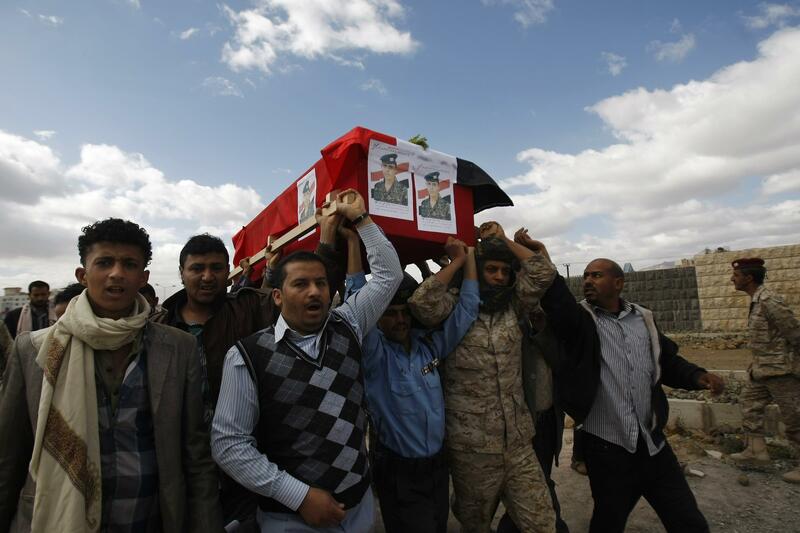 Yemeni mourners carry the coffin of a soldier who was killed by suspected al-Qaida militants at a checkpoint in Hadramawt province, during his funeral in Sanaa, Yemen, March 30, 2014. "People are so desperate to get food on the table, many young people can be an easy target to be recruited into armed groups." "Framing the Yemen conflict purely as a religious one misses out the real economic, political and historical dynamics that are at play within the conflict." "You can think of Yemen as kind of a marketplace where external and internal actors try and buy influence and flows of weapons, flows of money build coalitions."